Photographic permissions: The photos published in the Flowers by the Sea catalog and our Everything Salvias blog are the property of FBTS or photographers who have agreed to their publication in the FBTS catalog or blog. To use one of our photos, please contact FBTS requesting permission and citing the particular page or story in which the photo appears. The cartoon on the Shipping page is licensed from Conde Nast, Inc. All rights reserved. 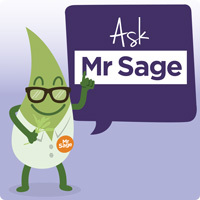 Regarding Medicinal Sages: Please remember that the information presented on this site is for educational purposes only and is not a substitute for the advice of a qualified healthcare professional. My plants arrived quickly and they were in excellent health. So far, they are doing well in my yard despite the unusually dry weather we've had on the Monterey Peninsula this winter. I will definitely order from fbts again! Beautiful, healthy plants that are carefully packed and shipped! !